What if Google announces an algorithm update, say, day after tomorrow? What will you do? Or rather, what should you do? Pivot – change in the approach or perspective — is the name of most of the games today. If you don’t pivot, someone else, who readily does, will take over the SEO game from you, and in turn your business. To make the long story short, SEO is not a sprint. It’s a marathon. You have to keep pivoting and pivoting with as much algorithm artillery as possible to make sure your site is always up to speed with Google’s ever-evolving algorithm demands. In short, every pivoting act you undertake, in keeping with the algorithm updates, will bring your site closer to Google, and in turn your users. Want to know what sort of updates your website should pursue today and in the days to come, to ensure an overall stability in SEO rankings? Here I’ll run you through 13 big pivots that could help up your SEO game in 2018. Modern SEO is all about User Experience. And to offer the best user experience possible you need to obsessively, painstakingly dial into user intent with a special focus on keywords. Keyword-stuffing has no room in modern SEO practices. Regardless, without minimum keywords, cracking Google’s SERP code would be rather difficult, given that Google only understands one language – the language of words. And the fact that even today keywords show up on Google’s first page is a direct indication that keywords matter. That said, keywords, especially the long-tail keywords, and the user intent has to go hand-in-hand. They cannot be mutually exclusive. You need to work hard enough to keep them in alignment, or you will be in the bad books of Google within no time. This could mean several things from the user’s end. d] Or is simply curious to know what the buzz is all about? Turns out, all these reasons could be clubbed under one umbrella called “User Intent,” which as I mentioned earlier, is crippled with ambivalence. Given that you are absolutely clueless, as to what the user is exactly searching for, (defined as user intent or searcher’s intent), companies have to pull up their sleeves and plug into user intent consciously. For this, the service providing companies have to anticipate all sorts of questions, which may or may not pop up in user’s mind beforehand, and address them one by one, on a one-to-one basis. Yes, you need to write your website pages/blog posts as if you are trying to please one person. As Seth Godin says “Sell one” – the one who is totally a blank slate. So, start off from the definition part. 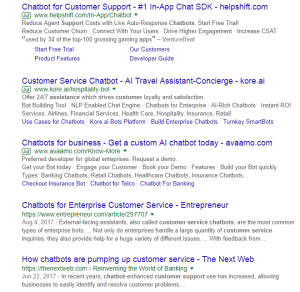 As Google has discovered over the years that people actually want a full range of information, and in this case, as you can see in the image that Google has pulled out a featured snippet as to what actually the customer service bots do in its search results from one of the top sites in the world. More to the point use as many long-tail keywords as possible because of the ascendancy of Google’s Voice Search, which gives a whole lot of importance to long-term keywords. Further, stick to natural language while crafting your website content. If possible, come with long-form content in the form of FAQs, which may help you come up with in-depth answers. Though Rand Fishkin’s video bemoans the idea of generating backlinks via social media platforms, be it Facebook or Twitter, among many others, the fact remains that social signals do influence SEO. In fact, Neil Patel’s blog “17 SEO Myths that you should never follow,” makes it crystal-clear that social signals and search engine rankings are not mutually exclusive. They go hand-in-hand, despite the fact that social media sites don’t pass on the link juice. More compelling is the fact that social media metrics can be tracked and measured with precision. Not surprisingly, several social media marketing companies out there can help you strategize on this front. 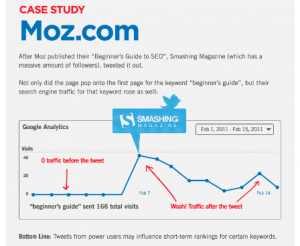 For instance, Moz’s case study on “Beginner’s Guide to SEO,” started to rank when Smashing Magazine took to Twitter to inform thousands of its users about Moz’s newly launched case study. That said, you just cannot rely on social signals to boost your product and page rankings. A combination of SEO, blogging and social signals all should come together to accelerate traffic and conversions. Sure, link building never went out of fashion, given that it has a direct bearing on site rankings. Without question, the strategy has worked in the past for several websites. According to Google’s Andrey Lippatsev, links pointing to your site are one of the two most important ranking signals (the first being content). Even now things haven’t changed much. It is still considered crucial from SEO ranking standpoint. Regardless, what matters most now is the quality of the links. Sure, Google has recently launched a barrage powerful ranking factors including page speed, mobile-friendliness, Hummingbird, RankBrain, among many others. But, despite these waves of newer, shinier trends that capture your imagination every now and then, despite the ephemeral nature of SEO, be assured, one shouldn’t discount the importance of quality link building, ever. I mean Ever. 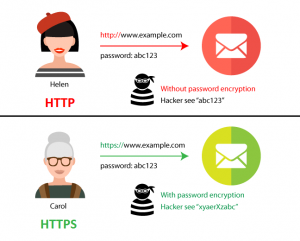 In 2014 August, Google announced it will be using HTTPS as ranking signal in its algorithms. Regardless, it was a lightweight ranking signal until January 2017, when Google decided to flag the non-https websites as unsecured sites. Ideally, Https is meant for sites that deal in sensitive data, such as credit card or debit card details for billing purposes and all. Having an https ensures that your site’s data is secure from hackers and, more importantly, assures the user that his data is very much secure, no matter what. So, if your website is still on HTTP, switch over to HTTPS, now. Not long ago, Page Rank was a different ball game altogether. If you had links pointing out to different websites, it simply meant you are passing on the link-juice to those websites. However, this is an old, old, old school SEO strategy, says Rand Fishkin on his Moz blog 5 Reasons You Should Link Out To Others From Your Website. He has explicitly cited five powerful reasons on why linking out helps. According to Fishkin, linking out to authoritative sites should be considered a good practice because it not only helps in higher page rankings but studies and research suggest that pages with follow links outrank the non-linking pages. Still, unable to wrap your mind around the external link juice justification I just delivered? Okay. Check out Digg, Reddit, Yelp, Twitter, and Delicious – these sites link out to other sites as part of their business strategy and still get visitors coming back to their site over and over again. 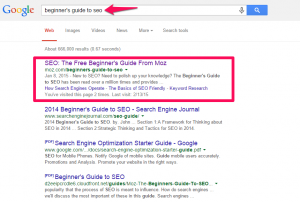 Even Neil Patel’s blog gives out a good number of do-follow links to external sites. So don’t worry when you are linking out. Be Bold. Be Generous. Link out to other sites. Make use of similarsites.com to find out high-quality sites that you can link out to. Blog, blog, blog away on your business blog if you are like Moz, which enjoys a sky-rocketing domain authority. If not, get on the guest blogging bandwagon, if you wish to move the needle in favor of your SEO. In short, business blogs yield negligible SEO returns for sites that are low on domain authority, explains an Entrepreneur post. Guest blogging is the best bet for such sites. Sure, there’s a general perception that when you post new content on your site, Google will see some fresh content on your site. Fair enough! That kind of thinking is not entirely wrong, especially if your product enjoys a monopoly in the market. Otherwise, on a scale of 1-100, internal blogging scores just 1. The bottom-line is to start writing for external websites as it might help you move the needle for SEO. As we mentioned earlier, Backlinks are the foundation of Google’s algorithm. Good user experience, among many other things, includes faster loading of your website pages, reduced bounce rates, easy to use and navigate, delivers high quality, actionable content relevant to the query, competently designed and, more importantly, accessible to modern browsers. Crucial metrics from the user experience view point and Google’s standpoint as well. When Google sends its user to a certain web page it wants them to enjoy and not crib about their experience. Don’t forget people that Google is running a business and their top-most priority is to delight its fickle-minded users. And, if, they are unable to deliver on that particular front, they’ll soon lose out their positioning as the no. 1 search engine in the world because users will switch over to competitive search engines, without so much as a second thought. We know for a matter of fact that Google won’t allow that to happen. Not surprisingly, it goes about investing and improvising its page search algorithms, time and time again, simply because they want to make sure that people have the best of the experience on their pages, which, in turn, makes sure they only come back to them. Thanks to Google’s Pigeon algorithm update, Local SEO has become an indispensable part of SEO’s marketing strategy. The algorithm is there to help local businesses rank high on local searches. So if you are a local business it makes a lot of business sense to get your website optimized for local search, as people living in close proximity will be able to track you down easily. Mobile-indexing is in. And Google’s Accelerated Mobile Pages, aka AMP, will help you accomplish the same. The idea is to help websites design faster loading mobile pages. This is important given that 20 of the 24 industry niches are attracting more traffic from mobile than website pages. So if your website has been witnessing a surge of traffic from mobile search for some time now, it’s time to AMPlify your site without much ado. It’s a darn debatable topic these days. While Neil Patel’s blog suggests that H1 tags are crucial from the user perspective, while Searchenginejournal’s report states that H1 tags are important from SEO point of view as it influence’s your page rankings. Whatever the case maybe, the fact of the matter is H1 tags are important, whether from SEO view point or user experience point of view. So use them. The only thing to bear in mind is, no matter what header tag you use, make sure that the content is of high-quality, and those crucial concepts should be displayed upfront because it becomes easier to attract user eyeballs. Sure enough, pop-ups are mighty lead generation tools. But that doesn’t mean Google will happily allow you to plaster all sorts of pop-ups on your website walls. The operative word is here is “intrusive.” Yes, Google doesn’t penalize all pop-ups – only those that are intrusive in nature. In other words, the ones that don’t allow the user to access content on the page when they search on mobile until they close the pop up by clicking on the cross mark. However, pop-ups that use minimum screen space so as not to disrupt the mobile user experience are just fine. If you believe that getting to the top spot should be your no.1 priority, think again. For example, if you are ranking number one for Women’s Fashion Wear, and the visitors who come flocking to your site are looking for Western Wear and not for Nightwear for which you have optimized your landing pages for, then you are in some serious trouble. a] Decide what you are planning to achieve through the campaign – is it conversions or is it traffic? b] Nail down your potential customers and create a buyer persona around age, gender, goals, and location. Also, use Google analytics to study more about demographic and interest information for your audience. c] Involve analytics – SEO techniques call for constant fine-tuning. Make sure, the analytics that you use not only tracks down traffic but is equally effective in tracking down conversions as well. If your analytics say that the keywords you are using are not helping you convert at all, then probably it’s time to target a whole set of new keywords, or probably you need to overhaul your optimization efforts. If you think Answer boxes, also referred to as Featured Snippets, are the province of Wikipedia, then think again. Sure, it’s almost impossible to beat Wiki on the content front, but then that’s where Google Answer Boxes step in as a saving grace. For the uninitiated, Google Answer Boxes appear, more often, above the organic results, often times below the top ads and are quite capable of to overshadowing the other search results that appear in Google’s organic ranking. Fishkin’s Google Whiteboard Friday, How to Appear in Google Answer Box, 63% of all the answer boxes are in paragraph format, about 19% of answers appear in numeric or bullet point format, while 16% of the answers are in the form of tables and list. And if you are wondering if these answer boxes are worth your time and effort, be assured, it is. How? Because it not only gets you positioned above rank #1 as a special feature, the box also contains a link below, which gives the user a chance to peruse the entire article if he wants to. Don’t give it a miss. Make use of headers, subheads and Schema Semantic Markup while you are trying this out for your website or blog. Take stock. Of these 13 pivots, what have you missed out on so far? And then get your SEO acts together before you lose out your users to your competitors. Remember: Being friendly with Google algorithm updates is the best way to make your site more competent and cutting-edge. This is Jennifer Warren, a Content Crafter for GoodFirms - a review and research platform for mobile app development and software development companies. A full-time writer, part-time war movie monger, and an all-time book worm.